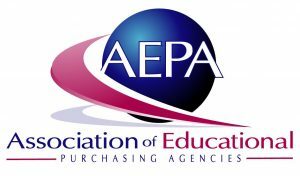 AEPA is a true “cooperative” who serves to leverage purchasing power to benefit all schools and agencies, regardless of size, with the ability to purchase at equal buying levels. AEPA conducts bi-annual meetings where bid responses are reviewed and evaluated by all AEPA member agencies. Once bids are approved for award by AEPA, ILTPP selects those contracts we feel will best help serve our state. Contracts are typically awarded for one base year, with options to renew for three additional years. Infinitec, which stands for Infinite Potential through Technology, is the technology program of UCP Seguin of Greater Chicago. The mission of Infinitec is to advance independence and promote inclusive opportunities for children and adults through technology. To operationalize the mission, Infinitec provides state of the art assistive and instructional technology information, equipment services, technical support, and online training. Through the user-friendly learning management system, ENGAGE, administrators can select and assign online training for staff to meet state mandates as well as for staff to earn credits. In addition, Coalition members can add their own content to a secure section of the Online Classroom, which we call Private Content. The 600+ online professional programs and other online instructional resources offer educators an opportunity to learn about disabilities including autism, as well as content areas such as reading, writing, and math available 24/7 on, www.myinfintec.org. We are a member-based organization currently supporting Illinois, Kansas, Minnesota, and Pennsylvania. Access to myinfinitec.org and the professional development resources of Infinitec is offered to districts for a fee based on student population available annually, from July 1-June 30. Common Sense Education helps educators find the best edtech tools, learn best practices for teaching with tech, and equip students with the skills they need to think critically and use technology responsibly to learn, create, and participate. Go to Common Sense Education for FREE resources including full reviews of digital tools, ready-made lesson plans, videos, webinars, and more.